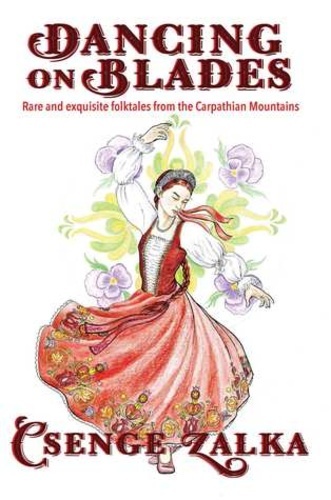 Welcome to this year's A to Z Challenge titled WTF Hungary - Weird Things in Hungarian Folktales! 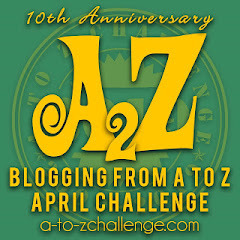 You can find all other participating blogs on the A to Z Challenge main blog. 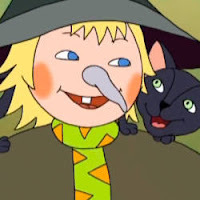 There is a thing about witches and their noses in Hungarian folktales. The most common way we refer to a hag or a witch is "Vasorrú Bába", which translates into "Iron-Nosed Witch." This is as common as saying "prince charming", or any other stock fairy tale character. The whole iron nose thing comes from old shamanistic traditions (wooden spirit-dolls had a metal plate on the face so they could be smeared with offerings without rotting), and also exists in Russian tales. There are other theories about where the idea might come from; in some parts of Hungary, since "bába" also means midwife, it is used to refer to midwives who performed (illegal) abortions. In fairy tales, however, the figure transformed into an evil, supernatural witch-creature with an actual, pointy iron nose. And then in modern folklore it turned into a joke (as in, "I'll headbutt you like the iron-nosed witch headbutts a magnetic table"). I wrote about this figure in detail in my new book, in relation to our strange Rapunzel variant titled The Daughter of the Iron-Nosed Witch. The other nosy witch I wanted to mention comes from Gaal György's collection, from a story titled The Pelican King (more about him later; see yesterday's post about the collection). 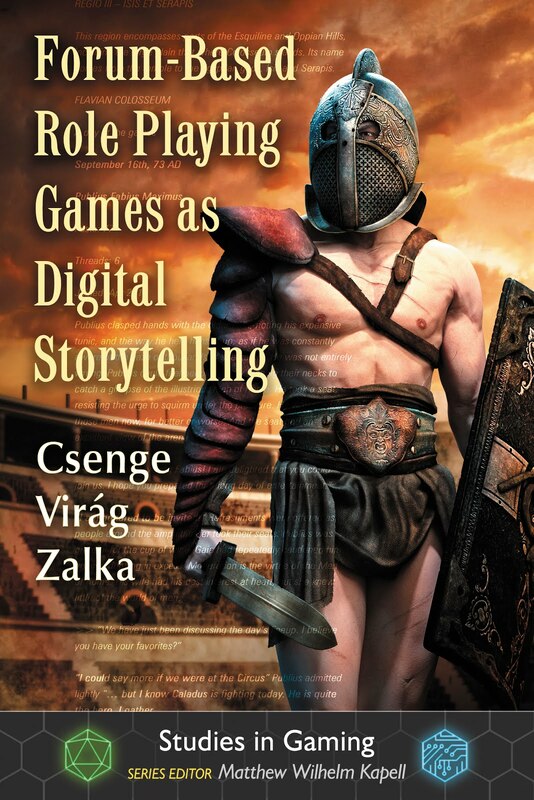 In this story, the hero has to cross over the sea to reach his destination. On the beach he encounters an old woman with an eight feet long iron nose. She ferries people over on her nose, swimming, but apparently is tired of doing so, and wants to know how much longer she has to do it. The hero brings her the answer on his way back: She has already drowned ninety-nine people, she will have to drown one more. And because the hero is clever, he only tells her this after she ferried him back. Not your usual marine transportation. What an unusual story. I've never heard of the iron nosed witch before. 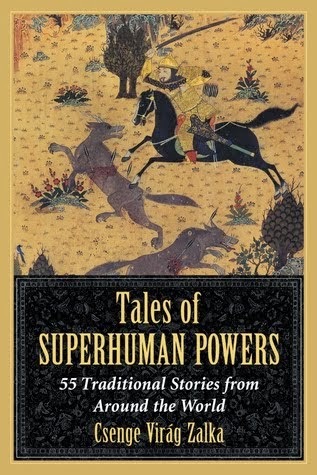 I love these crazy folk-tales. I wonder who the unlucky 100th person was?! Moral of the story, always tip the iron-nose-witch-ferry prior to boarding. I was wondering how she kept her iron nose afloat to transport people, but maybe she didn't always bother. What interesting theories about the origin of the term. I'm laughing as I imagine the 8-foot nose ferry attached to the face of a swimming witch. I may never be able to be on the water again without searching for such a thing. Is there any relation to Pinocchio? Your new book looks great! Good thinking on his part to tell her after he's safe :) I can only imagine how she manages with an eight foot long iron nose! Well of course 99 people have drowned, how safe could floating across the sea on a witch's nose be? ;) Great story, still working on catching up, love your stories!